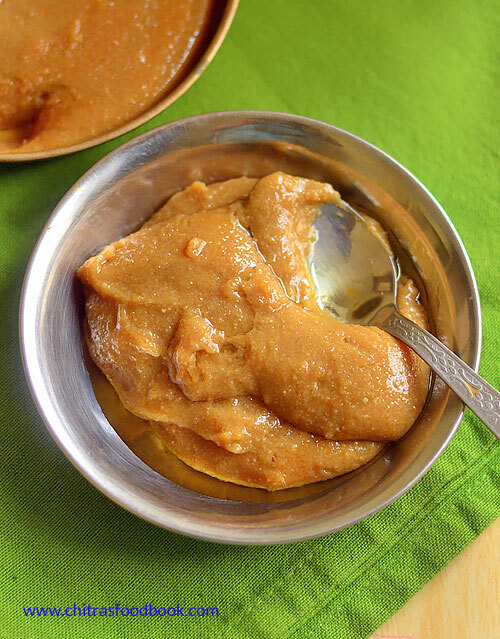 Kavuni arisi is a popular sweet recipe in Chettinad region. It is served in all Chettinad wedding feast. 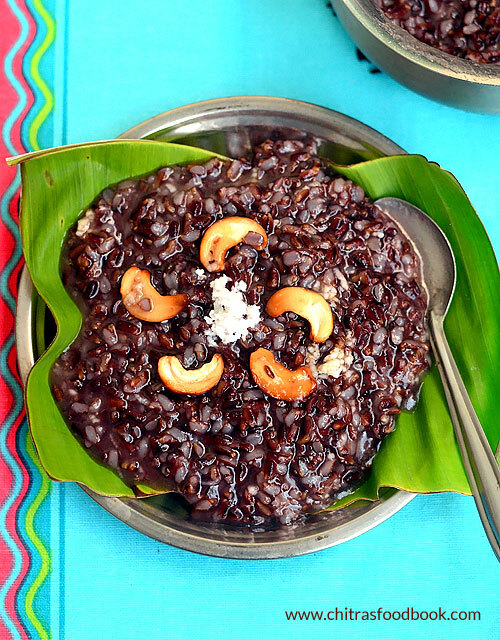 Kavuni arisi is prepared with black rice / Karuppu arisi (Oryza Sativa). It can be prepared with red rice/ Sigappu arisi too. Kavuni rice sweet is an easy recipe. Just wash and soak black rice, pressure cook it. Mix with sugar and coconut. Enjoy, its that simple and easy to make. Black rice is also known as purple rice, sticky rice in India. 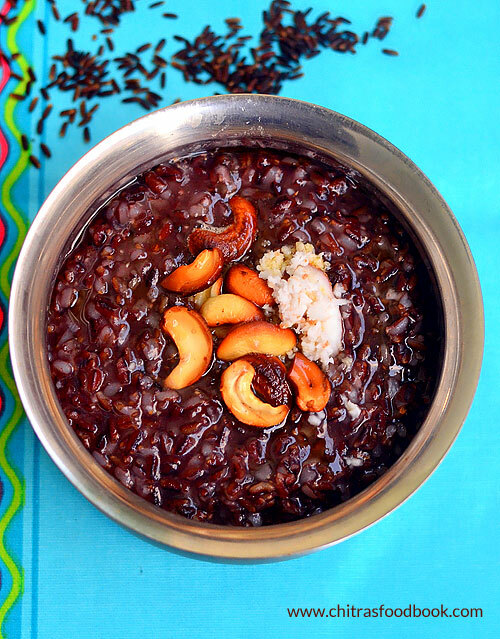 Black rice is completely different from brown rice and white rice. Its a popular rice variety in Myanmar, Burma. They call it as Chak-hao. It tastes chewy and slightly hard. Back rice is considered as a super food. The bran hull (outermost layer) of black rice contains one of the highest levels of anthocyanins found in food. It has a deep black color and usually turns deep purple when cooked. Its dark purple color is primarily due to its anthocyanin content, which is higher by weight than that of other colored grains. Black rice is also a good source of iron, vitamin E, fiber and antioxidants. It is suitable for preparing dessert, porridge, pongal, idli, dosa and some traditional Chinese black rice cake, bread and noodles. During our recent trip to Karaikudi, people told Chettiars used to bring black rice, burma teakwood and much more by trading all over the world in olden days. Nowadays good quality black rice is cultivated in pudukkottai, karaikudi region and is supplied all over Tamil nadu. You can get it online or from any organic millet shops. I bought this black rice, hand pounded rice ( Kaikuthal arisi) and bamboo rice (moongil arisi) from a shop in front of Green park restaurant in Palani road, Kottapatti – Dindigul. This is the first time I am using black rice. So I went through many websites and watched YouTube videos for cooking this rice perfectly. I also asked Viji akka from Chettinad for Kavuni arisi recipe mainly the rice water ratio and the quantity of sugar, coconut. Based on her traditional family recipe, I tried it twice and made a perfect kavuni arisi sweet. I noticed two things in this recipe. One, black rice is basically hard and wild. So it should be soaked for a minimum of 6 hours to cook well. I soaked overnight, nearly 12 hours. Secondly, it takes more water to cook no matter about cooking in an open pot or in a pressure cooker. It takes 1:4 rice water ratio. You should cook till the white part comes out from the red bran. So cooking time varies as per the rice. Old rice takes more water and more time to cook whereas new rice consumes less water. Based on the age of rice, water quantity and cooking time varies. Quantity of sugar can be varied as per your taste. Usually it is 1:1 ratio of rice and sugar but I felt its too sweet. So I used 1:3/4 ratio. There is no need to cook the rice after adding sugar and coconut as per Viji akka’s recipe. But I saw many versions with variations in the basic kavuni arisi recipe. However you make it, its a tasty indulgence ! If you are conscious about using sugar, you can always add Karupatti / Palm jaggery or jaggery. Just powder them and add it. 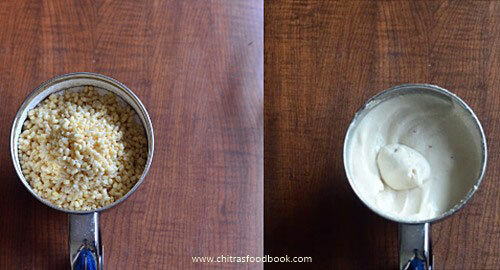 Ok, lets see how to make Chettinad special Kavuni arisi recipe with step by step pictures. 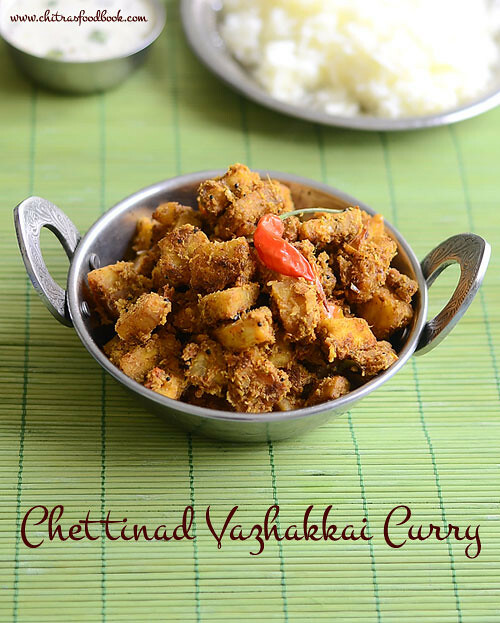 Check out more Chettinad special recipes ! 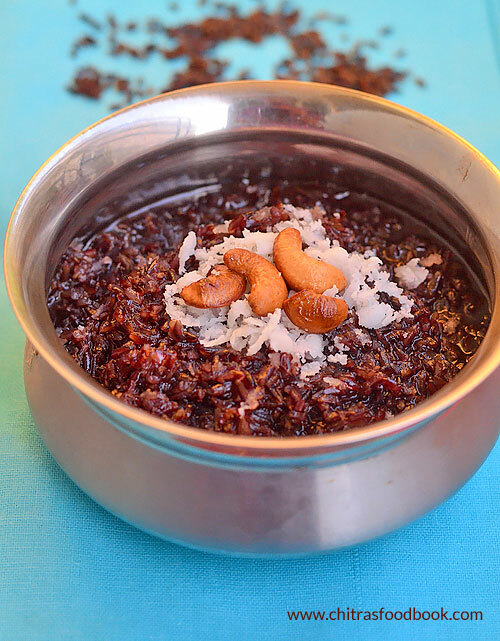 Chettinad special sweet - Kavuni arisi using black rice, sugar and coconut. Wash the black rice / Kavuni arisi twice or thrice to remove the dust. Soak overnight (12 hours) or minimum 6 hours. In a pressure cooker base, take 5 cups of water. Add the soaked kavuni arisi draining excess water. Pressure cook in very low flame for 5 to 6 whistles till the rice becomes mushy. After cooking, you should be see the white part and red bran separately. It is cooked soft but it tastes mildly chewy and hard. Do not panic. 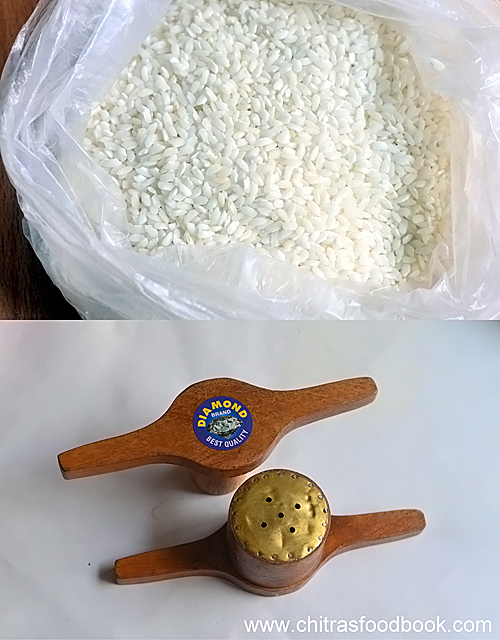 Quantity of water and number of whistles to pressure cook depends on the age of rice. (Old rice takes more water whereas new rice takes just 2.5 cups of water for 1 cup of rice. Similarly old rice takes more time to cook than new ones). After the steam is released, open the cooker. You will find a layer of water. Just mash the rice with a ladle. Drain the excess water and reserve it. Add sugar, grated coconut and cardamom powder. As soon as you add sugar, it will melt and mixture becomes watery. But it will thicken as it cools down. If you feel its too thick you can add the cooked, reserved water to adjust the consistency. Suppose if its too watery, you can boil till thick. But the traditional kavuni arisi recipe doesn't call for cooking after adding sugar and coconut. After mixing the rice, sugar and coconut, check for the taste. Add more sugar if needed. Lastly add cashew nuts roasted in a tbsp of ghee. Serve warm or cold. Enjoy ! Cardamom powder is optional. You can skip it to enjoy the flavor of black rice. Black rice takes more time to cook than white rice and brown rice. So cook in low flame for more whistles. There is no need to cook the rice after adding sugar and coconut. Just mix them and serve immediately. 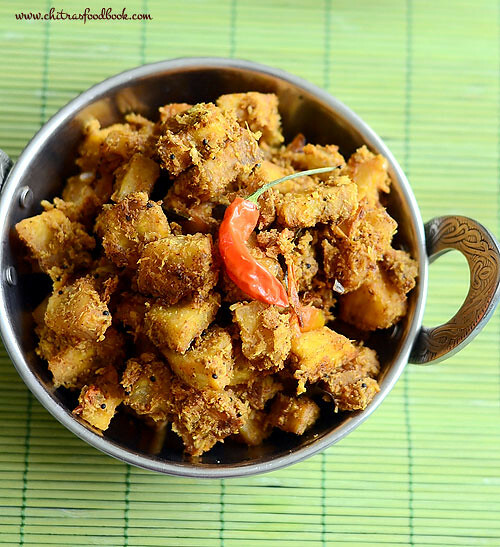 Try this yummy Chettinad special Kavuni arisi recipe. You will love it ! Chettinad style thenkuzhal murukku recipe was in my try list for years. Recently I had a 2 days trip to Karaikudi, Pillayarpatti and Kundrathur. I visited Karaikudi just to enjoy Chettinad special food. We stayed in Chidambara vilas, heritage resort and had a good time exploring places in Karaikudi. 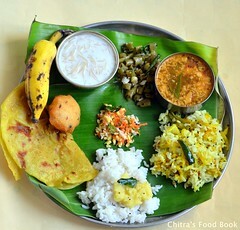 I had Chettinad special vegetarian lunch at The Bangala and enjoyed their food thoroughly. I went to the most popular Soundaram aachi snack shop and bought all the snack items worth Rs.1500. Among the snacks I tasted, I loved this Chettinad thenkuzhal and seepu seedai. I couldn’t meet Soundaram aachi but I got the recipe and details from the workers. I came to know Chettinad people use IR20 C. R Pachai arisi (Cut vellai pacharisi) for making this thenkuzhal/murukku. 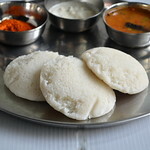 They add ghee and roasted urad dal powder to the processed rice flour and make this thenkuzhal. They use a 3 holed murukku mould for shaping it. I enquired them and bought the same from shops in Koppudai Nayaki amman temple street( Bazaar street) in Karaikudi. 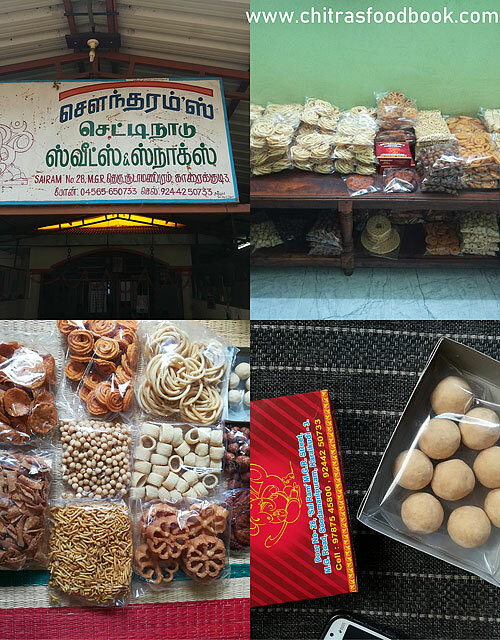 Here is collage of pictures of IR20 raw rice, thenkuzhal murukku press, Soundaram snacks shop and their products. But I did not try Soundaram aachi's recipe instead I followed the authentic Chettinad thenkuzhal murukku recipe without butter or ghee and tried it. I referred Solai aachi's thenkuzhal murukku maavu post for the ratio of raw rice and urad dal. Murukku came out super white in color even without using Vanaspati, butter or ghee. Generally Chettinad people make murukku maavu by grinding raw rice and roasted urad dal. They just wash the rice, dry under the shade for a day. Dry roast the urad dal till hot and grind both rice and dal in a flour mill. They store this murukku maavu and make thenkuzhal whenever needed. As we are not using butter or ghee, this murukku would be crunchy and slightly hard to bite. It doesn’t have a melt in mouth texture. You should have a strong teeth to munch this murukku😀. Its taste will remind the olden days thenkuzhal recipe which our granny's used to make without butter. 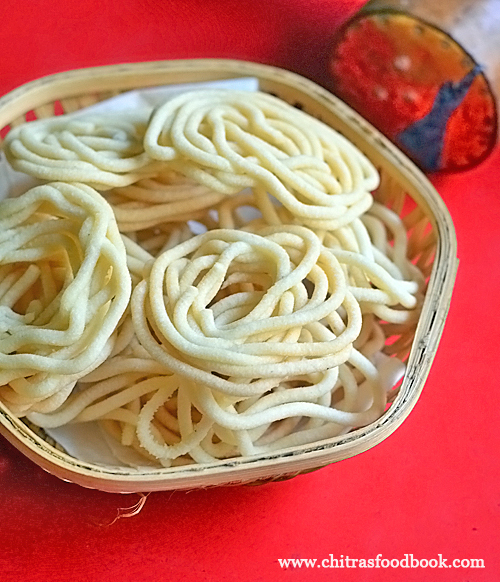 To make soft murukku, you can add melted butter or ghee but the color of this murukku may change. Finally its your choice of making this murukku with or without butter. Similarly you can try the same recipe with store bought idiyappam flour but results may vary slightly. 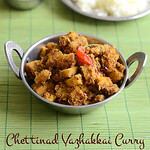 Friends, do try this easy, yummy Chettinad thenkuzhal recipe for this Diwali and enjoy ! Lets see how to make Chettinad murukku recipe with step by step pictures. 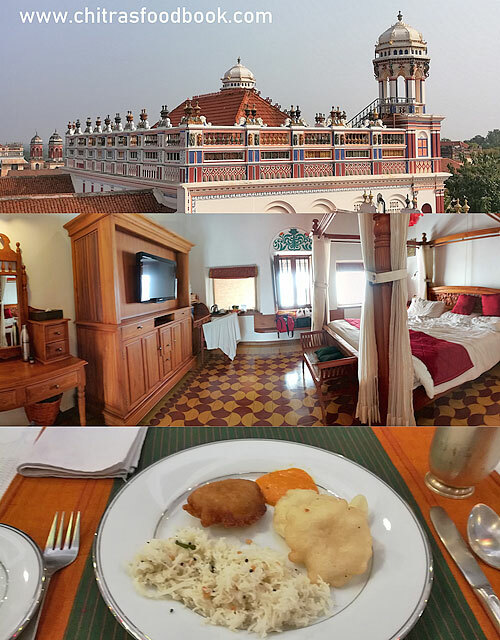 Here is a collage of our stay at Chidambara vilas, heritage resort along with its Chettinad special breakfast. 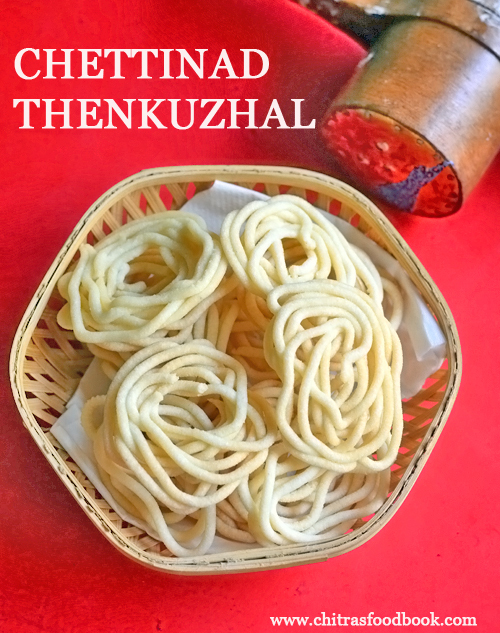 Chettinad Thenkuzhal Recipe - White murukku recipe without butter or ghee. 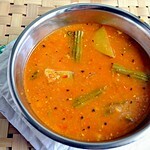 To make Chettinad thenkuzhal murukku maavu, wash and soak raw rice in water for one hour. Drain the water completely. Spread in a white cloth. Dry under the shade for one day or two. After the rice is completely dry, grind to a fine powder. 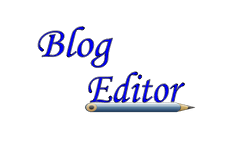 Sieve and set aside. Dry roast white, round urad dal without changing its color till hot. Powder and sieve it. Add to rice flour, salt, asafetida, melted ghee(If using) and mix well. Add the required water. Make smooth dough. Heat oil to deep fry. Press and shape the murukku. Drop in oil. Deep fry both sides till bubbles cease. Remove from oil, drain and store in a box. Chettinad thenkuzhal is ready. It stays good for a month. Lets prepare Chettinad thenkuzhal murukku maavu as a first step. 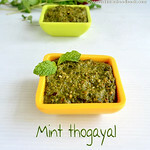 For this, wash the maavu pacharisi (IR20 raw rice) and soak in enough water for one to 2 hours. Drain the water and spread the soaked rice in a cotton cloth under shade for one day based on the weather. Do not dry under the sun. Rice should become completely dry. Alternately you can just roast the rice till puffy and grind the rice. After the rice is dry, grind in a mixie to a fine powder. Sieve in a wide plate and grind the coarse ones again till smooth. Repeat until all the rice is ground finely. Dry roast white, round urad dal until hot. Roast it patiently without changing the color. Murukku doesn’t come out white if you roast the dal till golden brown in color. Keep mixing and tossing the dal. When the dal becomes hot, remove from the flame and let it cool down. Grind to a smooth powder. Sieve and add to rice flour. Add salt, hing and melted ghee(if adding). Mix well. Then add required water and make a smooth dough. No problem if the dough is slightly sticky. Fill the murukku press with the dough ( I sealed 2 holes with a cello tape inside and outside). Heat oil to deep fry. Drop a pinch of dough and check the oil temperature. Keep the flame low to medium and squeeze the murukku over the oil directly OR press the murukku in a greased ladle or a sheet as shown in the picture. Then drop in hot oil. You can put 3 to 4 murukku per batch. Cook both sides by flipping it. Cook till bubbles cease completely. Murukku remains white in color if you fry in medium flame by tossing whenever needed. If you have used ghee in the dough, color may change slightly. Remove the murukku from the oil. Drain in a paper towel. Repeat the same in batches. Chettinad thenkuzhal is ready. Cool down the murukku and store in a box. It stays good for a month. You can wash the rice, dry under shade and grind in a mill else dry roast the rice till puffy and then grind it. Both works well. Ratio of rice and urad dal is 2.5 :1. Some recipes use 3:1 too. Addition of ghee or butter helps to give soft texture to the murukku but color may not be pure white. If you feel the oil has become too hot, you can switch off the flame and cool down the oil. Then make the next batch. Chettinad thenkuzhal murukku is ready to enjoy ! Try this for Diwali and share your feedback with me. 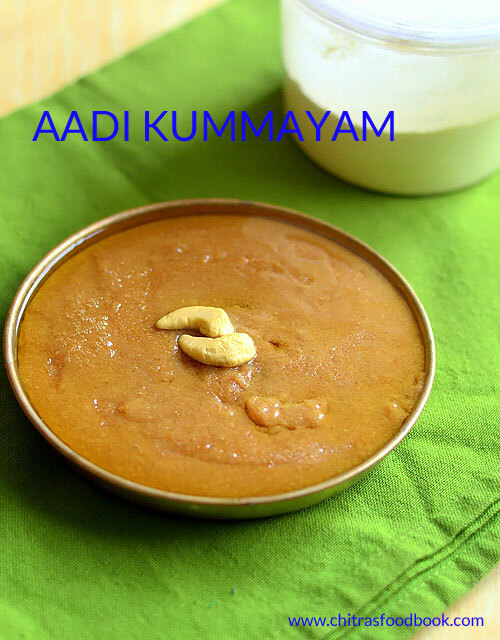 Aadi kummayam also known as Aadi koozh / aadi kool is a Chettinad special healthy sweet dish that is served in Chettinad marriage functions and other important occasions. Aadi kummayam is prepared with homemade kummayam powder that is prepared using urad dal, moong dal and raw rice. Palm sugar / Karupatti is used to sweeten the kummayam. But some people use jaggery as well. Usually kummayam is given to the young girls who attain their puberty to strengthen the bones. It is served by mixing with sesame oil/ Gingely oil. 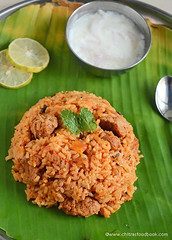 When I heard about this Kummayam recipe from my friends, I felt it is very similar to my Tirunelveli style ulundhu kali. 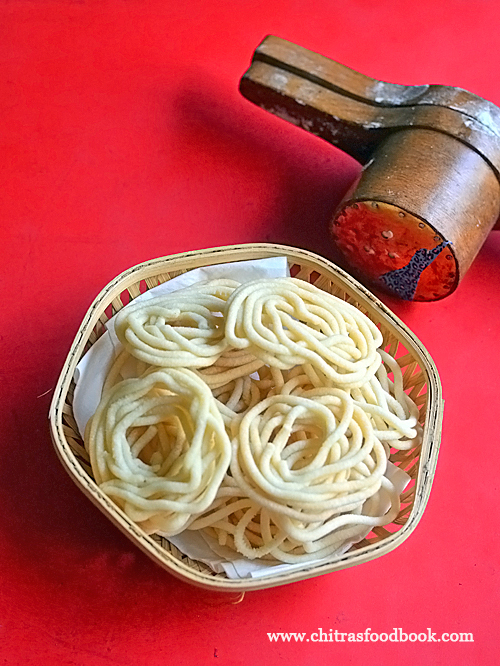 This year for Aadi special, I wanted to try and share this kummayam recipe in my blog. But I was not sure of the authentic kummayam powder recipe because I found so many recipes with variations in the quantity of ingredients. It was so confusing for me. When I told this to my friend Shalini, she introduced Viji akka who is basically from Karaikudi, Chettinad. When I spoke to her over phone, she shared most of the traditional Chettinad special recipes like Kandarappam, Vellai paniyaram, seepu seedai and Aadi kummayam with proper measurements and details. How sweet ! She also referred few YouTube channels and websites to learn authentic Chettinad recipes. Coming to this aadi kummayam recipe, Viji akka told her mom makes kummayam powder in large quantities grinding in flour mill and store it for months. But I made a small batch based on her measures. I also watched Seethai aachi’s kitchen YouTube video for more reference. Though its my first attempt, I felt its so easy to prepare. It came out so tasty too ! Above all, we had a satisfaction of having a very healthy sweet. Lets see how to make Chettinad special aadi kummayam recipe with step by step pictures. 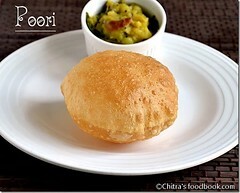 Do check out my other Chettinad Recipes and AADI MONTH SPECIAL RECIPES ! To make kummayam powder, dry roast urad dal, moong dal and raw rice separately. Cool and grind to a smooth powder. Sieve and store in a box. 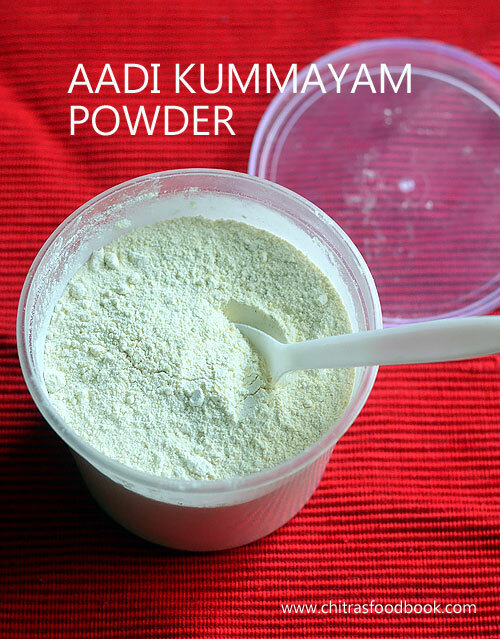 To make Aadi kummayam, take 1/2 cup of kummayam powder in a bowl. Add water and mix without lumps. Melt palm sugar adding 1/4 cup water. Strain and add to the kummayam mixture. Transfer to a kadai and keep stirring till it becomes thick. Add ghee and stir till non-sticky. Remove and serve it by mixing with gingely oil. KUMMAYAM POWDER : In a kadai, dry roast urad dal till golden in color. Transfer to a plate. In the same hot kadai, dry roast moong dal till golden color with a nice aroma. Transfer it to urad dal plate. Similarly dry roast rice till puffy. Keep it in the same plate along with dals. Let everything cool down. Grind to a smooth powder. Sieve it. Discard the coarse residue. Store the kummayam powder in an air tight box. AADI KUMMAYAM PREPARATION: To make Aadi kummayam, take 1/2 cup of homemade kummayam powder in a deep bowl. Add 1.5 cups of water. Mix without lumps and set aside. Alternatively you can roast the kummayam powder in 2 tsp ghee till nice aroma wafts through. Cool down and then mix with water to dilute it. In another bowl, take 1/2 cup of broken palm jaggery or jaggery. Add 1/4 cup of water to it. Boil and melt it. Strain the syrup using a wire mesh. Add this syrup to the diluted kummayam powder. Transfer this mixture to a non stick kadai. Mix in medium flame till thick. Add 1/2 tbsp ghee at regular intervals. Mix till the mixture comes together. Total time takes 15 to 20 minutes to reach final stage. Kummayam will become non-sticky. Wet your fingers slightly and touch the kummayam to check if its non-sticky. Serve hot mixing with gingely oil / sesame oil. Enjoy it as evening snack ! For variations, you can add less moong dal and raw rice than the mentioned quantity. ie. around 2 tbsp. Adjust the quantity of jaggery based on your taste. Palm sugar / karupatti tastes less sweet than jaggery. So you can add more if you need. Traditionally the ratio of kummayam powder and palm sugar/jaggery is 1:1. Cardamom powder is not necessary. Some people roast the kummayam powder in a tsp of ghee before mixing with water. But I din’t roast it. Its an optional step. Color of aadi kummayam varies as per the jaggery and palm sugar. Pictures shows the one with jaggery. But in the step by step pictures, I used palm sugar. So it looks dark in color. 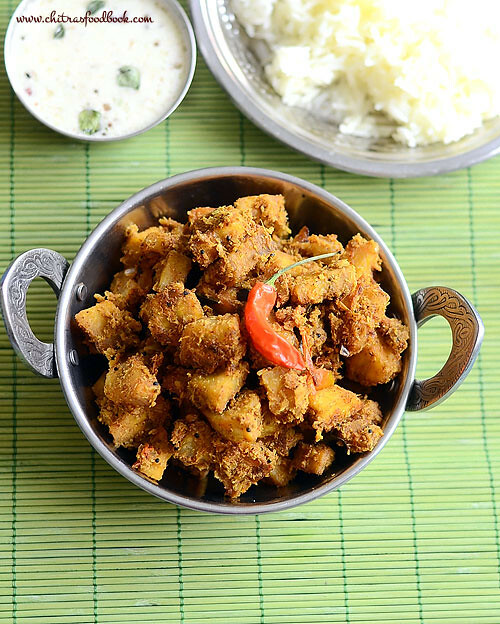 Try this super healthy, Chettinad special aadi kummayam at home and reap its health benefits ! I added some gingely oil while serving ! 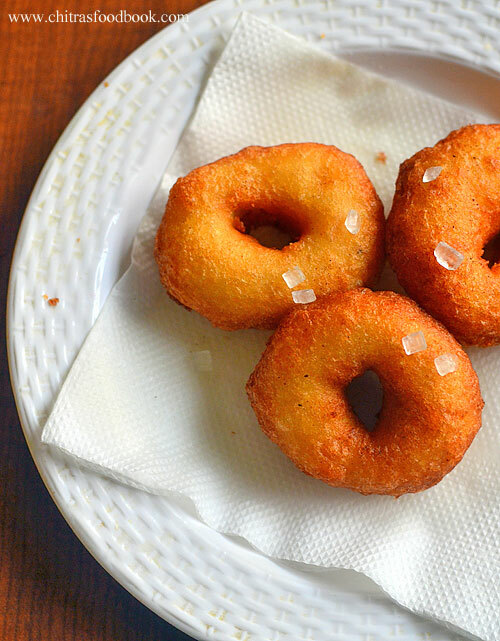 Kalkandu Vadai (Sugar candy vada) is a Chettinad Special Sweet Medhu Vada Recipe made especially for Diwali and Thirukarthigai Deepam festivals. Recently we had a 2 days trip to Karaikudi, Chettinad just to explore its food and other specialties. We relished an elaborate, traditional Chettinad lunch at “The Bangala” and had a pleasant stay at “Chidambara Vilas” heritage hotel. In this trip, I got a chance to taste most of the Chettinad special delicacies like Kandarappam, Vellai paniyaram with kara chutney, Thalicha idiyappam, Kosumalli, Kondakadalai Mandi, Getti kuzhambu, Paruppu urundai kulambu, More kulambu, Milagu kulambu, Payasam, some poriyal , pachadi and kootu varieties. 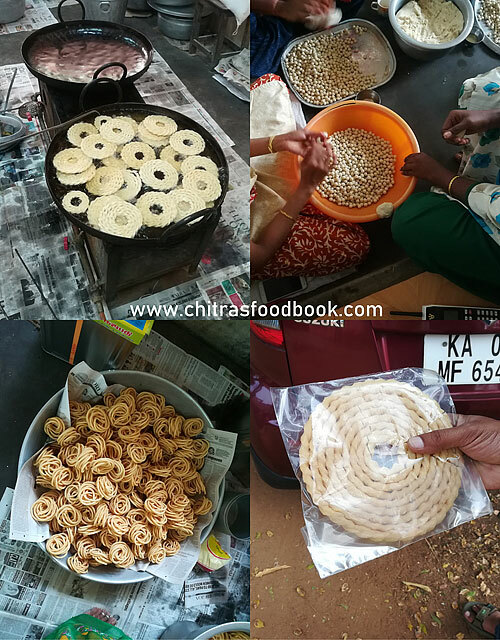 We bought all the Chettinad specialty snacks from Soundaram Aachi stores. I also bought a kg of white raw rice / Maavu arisi and murukku press near Koppudai amman temple street for making Chettinad thenkuzhal by enquiring the staffs in Soundaram aachi kadai. I visited the antique stores to buy some props for blog but I din’t buy anything as I found them too costly and not worthy for its price. Finally I bought 2 Chettinad Cotton sarees as well. Totally it was a memorable one to cherish for years.Soon I will try to make a separate post about our trip in detail with all the pictures. After this trip, I got tempted to try some Chettinad recipes in my kitchen and share with my readers. So I bought “100 Chettinad recipes cookbook “ and started trying them one by one. Last week Sendhil’s friends visited us. Luckily I came to know that they are from Chettinad . I became very happy and passed this book to her to know the authenticity of the recipes given in the book. Thanks a lot Mrs. Inba Venkatesh. She explained each and every recipe along with few corrections. She told me to try this Kalkandu vada as its one of the most special snacks recipe of Chettinad. So I tried this recipe referring the cookbook and few Youtube videos. Even though its my first attempt, it came out really well. I am very happy with the result. It tasted crispy outside and very soft inside. Its so easy to make too. Lets see how to make Chettinad special Kalkandu vadai with step by step pictures. 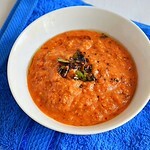 Check out my other Chettinad recipes in this LINK. 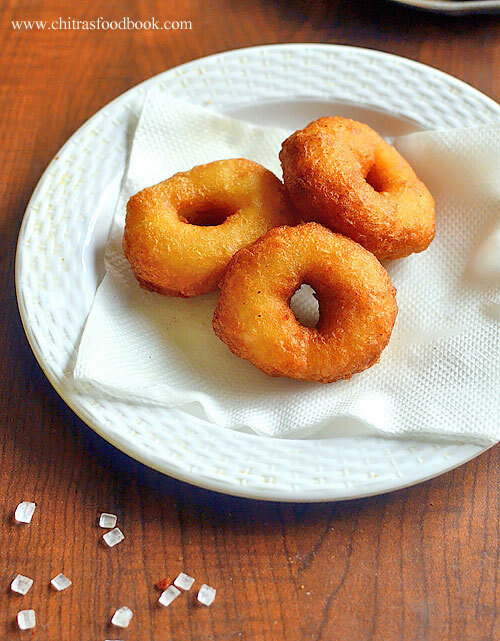 Kalkandu vadai - Sweet medhu vada made with urad dal and sugar candy. Wash and soak urad dal and rice in a bowl adding water for one hour. In a mixie jar, grind sugar candy to smooth powder. To this powder, add the soaked dal +rice by draining the water completely. Grind to a smooth paste without adding water. Add salt to the batter, mix well and keep aside. Heat oil and make vada. Deep fry both sides till golden. Remove and enjoy hot ! Wash and soak urad dal and raw rice in a bowl adding enough water. 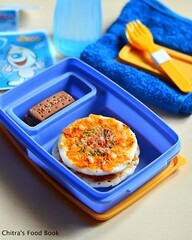 Soak for one hour. In a big mixie jar, powder the sugar candy/ kakandu smoothly. Alternatively you can use sugar instead of sugar candy. Take the soaked dal+rice and drain the water completely. Add the soaked dal+ rice to mixie jar. Grind to a smooth paste without adding water. Powdered kalkandu helps to grind the dal smooth without water. So do not add water, just wipe the sides of mixie jar and grind continously to make a smooth batter. Transfer the batter to a bowl, add salt just before making vada. Mix well with a spoon to prevent batter becoming watery.Keep aside. Add 1/2 cup of water to the mixie jar and grind it to wash the jar. Transfer to another bowl and use this water for dipping your hands while shaping the vada. If you fry the vada later, you can refrigerate the batter till use. Heat oil in a kadai and when it gets heated , drop a pinch of batter to check the heat of oil. If the batter rises to the top immediately, oil temperature is correct. Now lower the flame to medium and drop the vada. Dip your fingers in water and take a small portion of batter from one corner of the bowl. Make a ball, flatten it slightly and make a hole in the center. Turn your hand upside down. Drop the vada in oil by slightly tilting your fingers. Make 2 to 3 vada per batch. Cook in medium flame by flipping it whenever needed. Cook till golden brown on both the sides. Do not cook these vada in high flame because vada turns black quickly because of sugar candy.So cook patiently in low to medium flame. 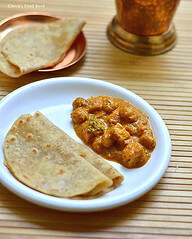 .Remove the vada in a tisue paper and serve hot. 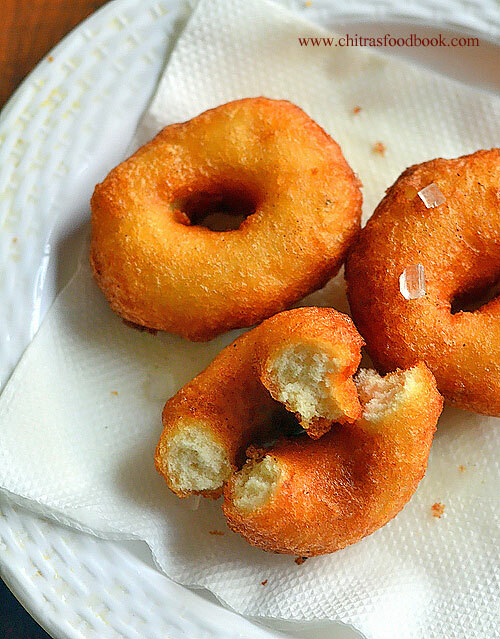 You can refrigerate the remaining batter for 2 days and make vada at your will. Enjoy ! This vada stays good for 2 to 3 days. If you don't have sugar candy, you can use sugar. Never use water for grinding the batter. Cook in low to medium flame patiently. If the vada absorbs more oil, add 1 to 2 tsp of rice flour to the batter. Do not add salt while grinding the batter. It makes the batter watery. Try this easy, yummy, sweet urad dal vada / Kalkandu and enjoy ! Wash & peel the skin of raw banana. Chop into cubes & keep inside water to avoid discoloration.Grind the coconut + fennel seeds to a smooth paste adding enough water. In a kadai,heat oil and splutter mustard seeds,curry leaves. Saute onions,green chilli & garlic pieces until onion becomes transparent. Add chopped tomato pieces and saute till mushy. Add turmeric powder,red chilli powder and required salt.Mix well and add the raw banana cubes.Mix well.Add some water & cover cook till the raw banana is cooked well.Make sure it is not mushy.It should be firm. Now add the ground coconut masala and mix well. Keep the flame medium and saute until you get a nice masala smell and raw banana gets coated with masala.Switch off the flame and garnish with coriander leaves. Original recipe called for using 2 green chillies.But i used only one to make it less spicy.So add more for spicy fry. You can also add more red chilli powder instead. You can replace raw banana with arbi/Seppankizhangu but you should cook the arbi before adding in masala. Enjoy this yummy,flavorful vazhakkai curry with rice,kuzhambu and papad !